EASY HYDRATION Carry this reusable, recycled plastic (polycarbonate) bottle and help save the planet. 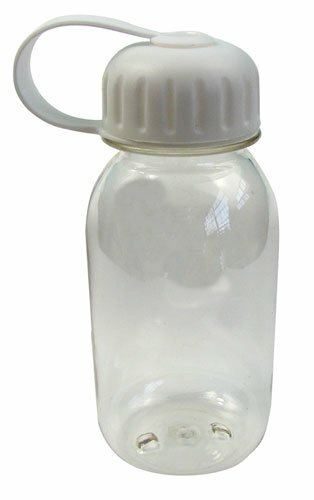 Clear, holds 16 oz (500 ml), and measures 6-5/8″ tall (counting the hard-to-lose attached white screw cap) x approx 3″ dia. The 1-5/8″ ID mouth is easy to fill. A natural sort of loop forms when the cap is screwed on, letting you hang the bottle from your pack, tent pole, bike cable or belt. Purchase 16 oz. Polycarbonate Reusable Water Bottles Pkg. (4) at Discounted Prices ✓ FREE DELIVERY possible on eligible purchases. Carry this reusable, recycled plastic (polycarbonate) bottle and help save the planet. Clear, holds 16 oz (500 ml), and measures 6-5/8" tall (counting the hard-to-lose attached white screw cap) x approx 3" dia. The 1-5/8" ID mouth is easy to fill. A natural sort of loop forms when the cap is screwed on, letting you hang the bottle from your pack, tent pole, bike cable or belt. EASY HYDRATION Carry this reusable, recycled plastic (polycarbonate) bottle and help save the planet. Clear, holds 16 oz (500 ml), and measures 6-5/8" tall (counting the hard-to-lose attached white screw cap) x approx 3" dia. The 1-5/8" ID mouth is easy to fill. 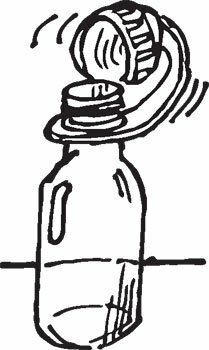 A natural sort of loop forms when the cap is screwed on, letting you hang the bottle from your pack, tent pole, bike cable or belt.